The five star luxury hotel resort Villa Padierna is located near the town of Marbella in the Costa del Sol. 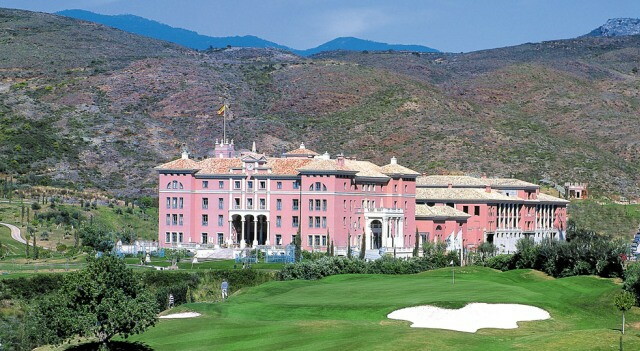 It is one of the best golf resorts in the world, surrounded by gardens and great views of the Mediterranean sea. Villa Padierna is surrounded by scenic beauty and serenity where you can enjoy a luxurious stay or holidays being this unique hotel museum. All the architecture is inspired by the ancient Tuscany and you can look at fabulous art pieces when walking around. It offers 130 rooms, suites and villas in an intimate, relaxed space very close to the Mediterranean sea. All of them are decorated to achieve harmony between luxury and elegance and have stunning views of the mountains, the sea and the splendid golf fields. There is a Roman amphitheater and swimming pool surrounded by gardens of cypress and palm trees. They offer six different dining areas to satisfy the most demanding palates where you can enjoy an unique gastronomical experience. There are restaurants with exclusive menus a la carte, beach clubs and terraces to enjoy a nice cocktail in good company. In this splendid spa you can experience the Roman baths with the XXI century comfort as they offer an unique Aromatic Thermal Circuit in the Costa del Sol that will be pleasure for all your senses. The headquarters of the Medical Wellness with over 2000 m2 is the perfect way for the rest of the body and peace of mind, a place where you can disconnect from your worldly matters and just enjoy your rest. Villa Padierna is also a marvelous place for big events such as weddings or corporate events, and they have a professional service for the organization of such events offering the best service.